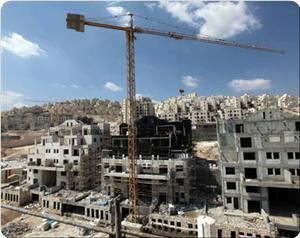 The Jerusalem Municipality, in cooperation with the occupation Ministry of Tourism, allocated 4 million NIS (about one million dollars) for launching a new settlement project in the neighborhood of Silwan to the south of Al-Aqsa Mosque in occupied Jerusalem, under the banner of promoting tourism, Israeli media sources revealed on Tuesday. The Hebrew newspaper "Haaretz" stated that the project includes developing a museum which will have audiovisual shows giving the Zionist narrative about the history of the so-called "City of David", in East Jerusalem neighborhood of Silwan. The Museum will be built in the framework of the settlement project known as the national park which is operated by the Ir David Foundation, also known as the Elad Association, under the supervision of the Israeli Nature and Parks Authority and the Israeli Antiquities Authority. According to Haaretz newspaper, “Last week the city’s finance committee approved a NIS 1.1 million appropriation for the project, in addition to the NIS 900,000 it approved late last year. The Tourism Ministry is to match these amounts with an additional NIS 2 million"
However, the Hebrew newspaper stated that the Deputy Mayor of occupied Jerusalem, Pepe Alalo (from the leftist bloc Meretz) who was the only council member who voted against the resolution, said: "the proposal was a “trick” to benefit Elad, which is trying to take control of Silwan and destroy any possibility of coexistence with the area’s Palestinian inhabitants”. Alalo also said that "giving so much money to the City of David meant denying funds to needy cultural institutions". 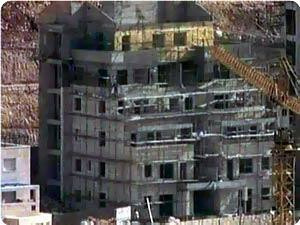 Jad Ishak, director of applied research center Areej specialised in settlements affairs, said that settlement building area in 8 districts in the occupied West Bank is larger than the Palestinian construction area in the same districts. Ishak told Quds press that the current Jewish settlements projects on Palestinian territories will turn 180 outposts in occupied West Bank and Jerusalem to settlements. The total outpost numbers which have been built since 1998 when the former PM Ariel Sharon ordered to occupy the Palestinian mountain tops, has reached 400 settlements. Ishak has stressed on the seriousness of this law which violates the "Quartet" and the road map which call for dismantling all outposts built after March 2001. He also stated that life conditions in settlements are much better than occupied cities in order to attract more settlers by providing all life requirements. He mentioned that Areej center has prepared a study which showed that the settlement construction process in Al-Khalil, Jinin, and Tulkarem is equivalent to the Palestinian construction process, while the settlement building area in the other provinces is larger than the Palestinian constructions area. The Knesset on Monday approved, on a second and third reading of a law "to encourage settlement", sponsored by the coalition chairman Ze'ev Elkin. The law aims to encourage settlement by offering facilities for the establishment of new settlements, and the expansion of the existing ones. The Hebrew newspaper "Haaretz" stated on Tuesday that the law, approved by 33 members of the Knesset, while opposed by 11 others, offers 35% tax break on donations to NGOs that support settlement. It also noted that discussing the law in front of the Finance Committee for approval raised "political storm" when the opponents said that the law was designed to encourage settlement in the West Bank. Yet the coalition chairman argued that the law includes every new settlement approved by the government, including the "non-Jewish" ones. Consequently, the law's sponsors were forced to remove the phrase "Jewish settlement" from the letter of the law -knowing that there is no non-Jewish settlement- after the interference of the Legal Adviser to the Knesset Eyal Aanon who pointed out that the expression mentioned may cause a legal problem in the letter of the law in terms of the general equality within the entity. The national bureau for defending the land and resisting settlement said the Israeli government stepped up its settlement activities and its annexation of more Palestinian lands to expand its settlements that was built on Palestinian territories. In a report, the national bureau explained that the Israeli district committee of interior and security announced a plan to expand Ariel settlement, north of the West Bank, through the building of 2,100 new housing units in two stages on vast tracts of Palestinian land in Qalqiliya and Tulkarem. It added that other Palestinian lands would be also seized by the Israeli occupation authority to expand Tesfim settlement that was built on the lands of Jaljuliya, Prophet Elias, and Jayyous villages. 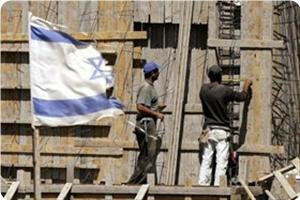 The report noted that the financial committee of the Israeli parliament (Knesset) had recently approved a budget of 44 million shekels for building and expanding settlements in the West Bank. The finance committee in the Israeli parliament “Knesset” on Tuesday allocated the sum of 44 million shekels or 12 million dollars for settlement projects in the West Bank. Hebrew paper Yediot Ahronot said on its website that most of the earmarked sum would be allocated for expanding settlement outposts. It noted that 17 million shekels would be given as compensation to settlers in so-called “illegal” settlements in the West Bank in return for evacuating them. Israeli occupation authority is planning to expand the settlement of Gillo, to the south of occupied Jerusalem, by building 2,242 new housing units, as part of 3 settlement expansion plans to be approved over the coming few days. Ahmad Sob Laban, a specialist in settlement affairs said in a statement on Friday evening that the expansion of Gillo will be concentrated in the southern part, moving towards Walaja and Beit Jala and to the north towards Safafa. He added that the district planning committee approved one of the plans two days ago and the same committee will discuss objections to two other plans on 22 May. He pointed out that this committee’s approval of the plan is one of the final stages, before final approval and starting work on the ground. 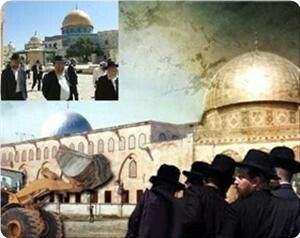 The Islamic - Christian Commission in Support of Jerusalem and Holy Sites warned of the occupation authorities’ settlement activities that have been escalated recently, especially in Jerusalem as the construction of 1,100 settlement units in "Givat Hamots" in Eastern occupied Jerusalem, and that aim at Judaizing the city and its holy sites. Secretary General of the Islamic-Christian Commission, Dr. Hanna Issa, considered the occupation authorities’ ongoing construction and expansion of Zionist settlements in Jerusalem and its suburbs a violation of international humanitarian law, an impediment to negotiations and to reaching a lasting peace in the Middle East. Dr Issa pointed out that these Zionist measures are incompatible with the roadmap, which obliges the occupation to end all settlement activities, including the so-called "natural growth". Dr. Issa added that the Israeli settlements in the occupied Palestinian territories are illegal, and violate the international humanitarian law, specifically Article 49 (paragraph 6) of the Fourth Geneva Convention of 1949 which states that (the occupying country may not deport or move part of its own civilian population to the territories it occupies). " He also noted that the repeated resolutions of the National Security Council, the UN General Assembly and the International Court of Justice on the construction of the separation wall in the Occupied Palestinian Territory by the occupation, have conclusively confirmed that the international community does not recognize any right for the occupation to construct settlements in Eastern Jerusalem which remains part of the occupied Palestinian territories. Therefore, the Islamic – Christian commission calls on the international community and the States which signed the Fourth Geneva Convention to urgently act in order to deter the escalation of settlement indicating that the only way to achieve a just and lasting peace is linked to respecting the basic principles that international law is based on as well as the principles of human rights and international humanitarian law. Dr. Issa stressed that: "The international community has to pressure the occupation authorities to stop all its settlement projects in the occupied territories and to respect the international law." It should be noted that the successive Zionist governments have been encouraging the occupation to set up settlements in Eastern Jerusalem and in the rest of the occupied Palestinian territories since the beginning of its occupation in 1967. Statistics indicate that the number of settlements in the West Bank has reached more than 440 locations, knowing that the number of settlers there is more than half a million. 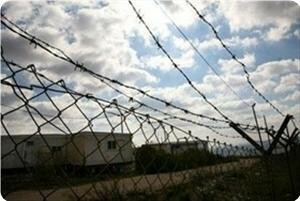 The Israeli army has recently handed an abandoned military base built on Palestinian land near Dura village, to the south of the southern West Bank city of Al-Khalil, to be used by Zionist settlers. Abdul Hadi Hantash, a Palestinian settlements expert, said that the base belonged to the Jordanian army during its presence in the West Bank before being taken over by the Zionist army in 1967 and turned to Engineering Faculty, and that the Israeli Defense Minister Ehud Barak handed it to settlers last Friday after being evacuated, in order to establish "Adorim" settlement on an area of more than 100 acres belonging to Palestinian families. In a statement to "Quds Press" Agency, Hantash revealed that the occupation has issued three years ago, a decision to evacuate the base, and kept only one building that it re-restored more than once claiming that it will use the area to build fire or ambulance stations. However, the area was handed officially to be used by the settlers. 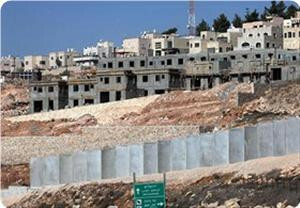 Hantash warned of the serious outcome of the establishment of a Zionist settlement amid Palestinian populated areas since it will result in continuous attacks by the settlers. 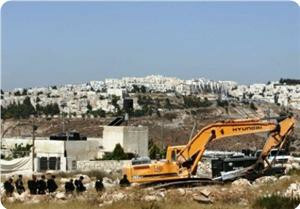 He also said that he expected the area will witness an expansion of settlements and seizure of Palestinian lands. Thus, there is fear that the occupation would take control over it. 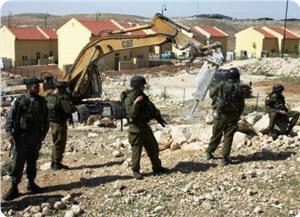 Hantash added that the lands located next to the settlement have recently witnessed large-leveling operations and the demolition of water wells and agricultural ponds, aiming to push the Palestinians to leave the area so to facilitate taking full control over it.